Editor’s Note: Getting Smart has partnered with Teton Science Schools for a thought leadership campaign we’re calling “Learning & The Power of Place.” The 40+ blogs to date in the series highlight examples from teachers, students and leaders across the globe that show the power of place-based education. Today we share the personal reflection teacher Helen Ommen wrote after her professional learning experience in one of the many rich and robust learning opportunities available to educators through Teton Science Schools. 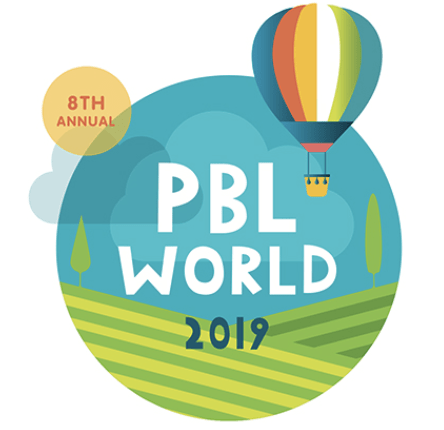 We think this is the best way to show the power of place-based professional learning–through the eyes of an educator. As of March 2017, we have also released a full-length Quick Start Guide to Place-Based Professional Learning. Since my Teton Science Schools workshop, I have become more aware of the components of place-based education that were already in place in my third-grade classroom here in the Gifted and Talented Program at Spring Creek. For example, we have ninety minutes of STEAM time already built into our daily schedule, where students learn integrated concepts that are hands-on and inquiry-based. We have been doing units with field-based STEAM activities all year, and have been exploring our “place” by getting outside our classroom walls several days a week. It is, by far, the students’ favorite component of the day, and an abundance of literacy concepts are integrated into that time as well. Two big ideas that I took from the workshop were the idea that “place” incorporates not only the physical environment, but the community of people and their history as well. The other epiphany I had was that I could trust the questions and wonderings that my students intuitively ask and want to explore. In an effort to intentionally implement techniques from the workshop, I planned a lesson that took me outside of my comfort zone in regards to my second epiphany from the workshop. Although inquiry-based lessons are comfortable for me to implement, I feel less secure letting students ask their own questions and pursue them. Especially with my students being qualified as gifted, their wonderings can sometimes be on such a grand scale, that I have felt overwhelmed knowing how to facilitate their exploration with sixteen children at once going in different directions, with outcomes that are messy conceptually and perhaps will go in a direction that I can’t anticipate fully. In order to deliberately incorporate the ideas of student-centered, relevant, connected and empowering inquiry teaching that are central to the idea of “place-based education,” I had the students explore the Engineering Design Process (image below) by taking a walk around the school grounds and identifying a challenge or problem in our environment for which they would like to attempt to design a solution. Then they spent two days working collaboratively or individually on the planning, modeling and improvement of a design that could solve their identified problem. See below for two students’ problems and plans for solutions. I was impressed with the students’ ability to identify a “problem” that was on an appropriate scale for them to grapple with in a reasonable amount of time with the materials we have available. I loved that the lesson naturally allowed students to gravitate towards working together in small groups and partnerships, and that there was so much authentic engagement and high-level discourse among the children as they grappled with the integrated concepts embedded in the process of imagining, modeling and building their solutions. Although the scope of engaging in the entire Engineering Design Process felt overwhelming to me before the lesson, it really was manageable for them to tackle the entire thing in just two days (although of course they can keep iterating cycles of improvement and redesign as time allows). Several of the students were inspired to continue the idea of searching their school, home and community for problems for which they could wonder, plan and design solutions. This is evidence, in my opinion, that they were empowered by the lesson and viewed themselves as capable question-askers and engineers of solutions. We had a blast over the two days and I plan to let them pursue their own questions much more often. Some of the finished designs are now being used in our classroom! For the Spring Outreach Program, I would like to have support when my partner teacher and I take our students on an overnight trip to the Hynds Lodge in Curt Gowdy State Park. I would like the students (third- and fourth-grade GATE students) to have a trail mapping/journaling time and then use GIS technology to create a digital story map of their experience once we return to the classroom. I have a parent of a student who works for the Wyoming Parks and Rec service using GIS technology to make maps, and I would like him to also participate if possible. Perhaps on the first day, the students can practice making a digital story map by using GIS to journal about and map particular features of our school grounds as a warm-up experience to hiking a trail, journaling and using GIS to create a digital story map on subsequent days. I would like to conclude by saying thank you! I loved the TSS fall workshop. It gave me space to reflect on how important and central “place” is to me as a person, a teacher and a mom. I felt validated, reinvigorated and challenged in both my teaching and my life. This coming summer, in fact, I found a cabin through the Forestry Service that I was able to rent for the whole month of July. I plan to take my three daughters, who are 6, 6, and 4 for the whole month. I can’t wait to see what seeds are planted in their little hearts, as well as ideas that come to my mind that I can implement into my teaching in the future. I am grateful to the TSS! Helen Ommen is a teacher in the Gifted & Talented program at Spring Creek Elementary in Laramie, WY. Place-based education is my new interest and it makes my teaching more authentic and more meaningful.